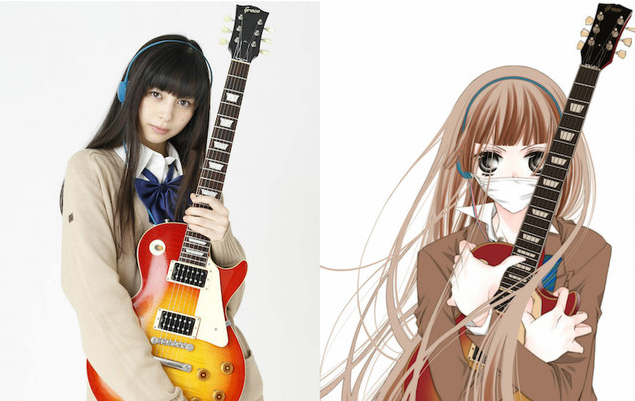 The first images have been released from the upcoming live-action film adaption of “Fukumenkei Noise”, based on the manga series written and illustrated by Ryoko Fukuyama. The series was originally launched in April 2013, and went on to become a huge success. Back in October 2016 Viz Media announced their license to officially publish the series in North America. An anime adaption will also begin airing in April 2017, helmed by the animation studio “Brain’s Base”. “Fukemenkei Noise” is a high-shool romance with a musical twist. The main character “Nino” has a heavy interest in music, but has the personality of a loner. She tends to alienate herself from people by walking around wearing a mask and headphones all day. Nino experiences two heartaches growing up. First, with her childhood “love”, Momo, and second, with Yuzu, a boy who composes music. While they eventually lost contact, she made a promise with both boys, to continue singing until they find her voice again. Six years later the three are all mysteriously reunited in high-school.